Planning a wedding is a very difficult job. 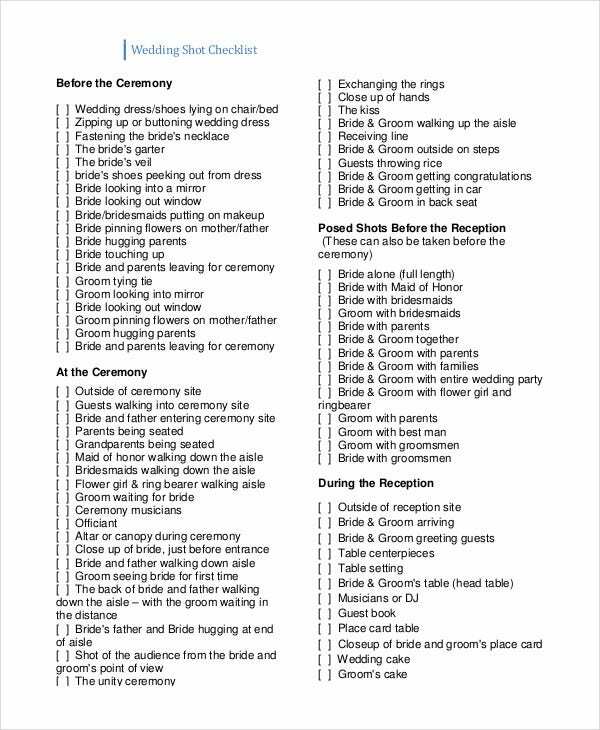 There are way too many things involved in a wedding for one single person to arrange them all. The best one can do is keep a check on whether all the arrangements have been made on time. 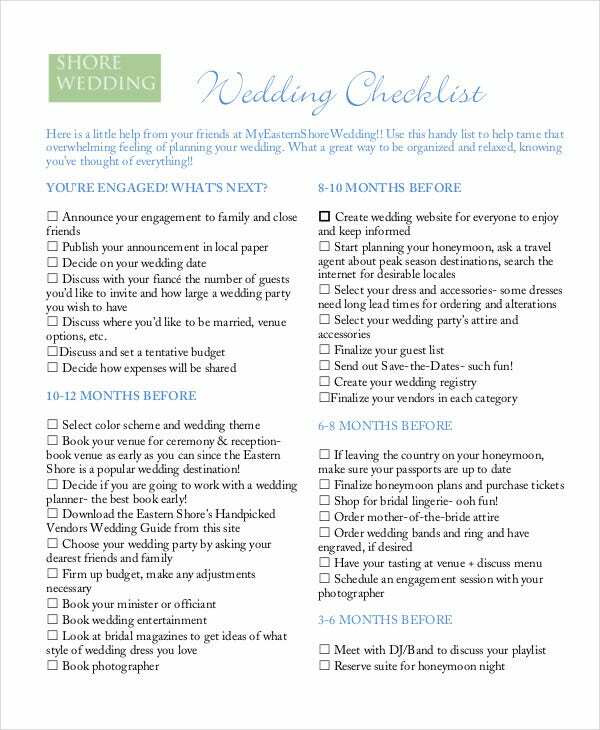 The best way to do this is by making use of a wedding checklist. 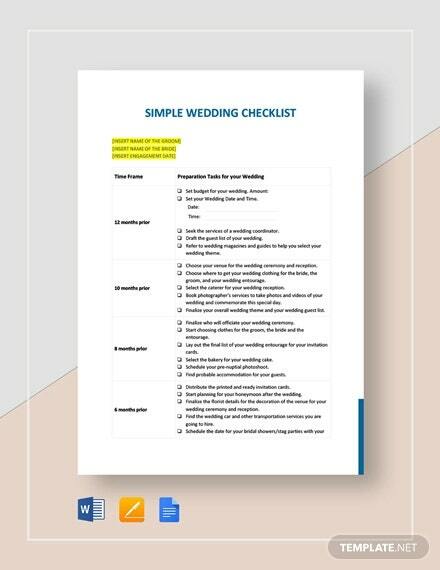 Below are various kinds of simple wedding Checklist Templates that can be helpful in planning a wedding. You may also see Sample Checklist. 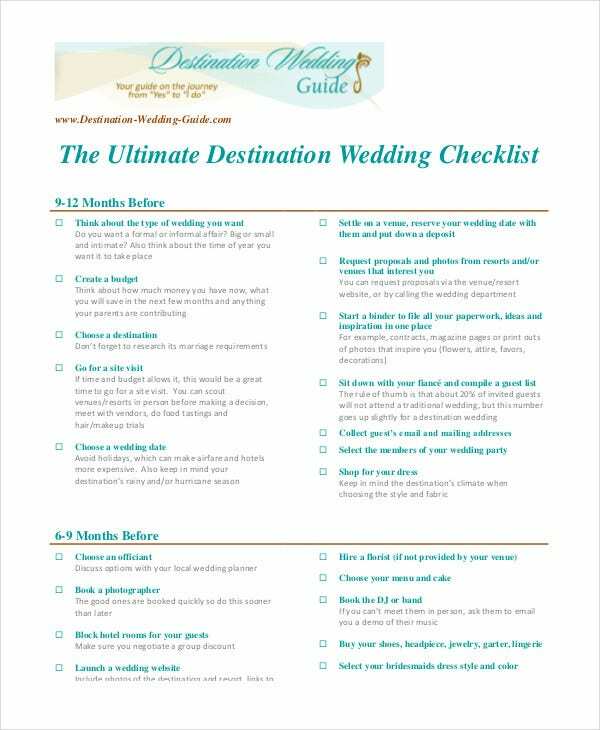 This simple wedding checklist contains a list of various items in many different categories like dining, entertainment, kitchen, bed and bath and more. 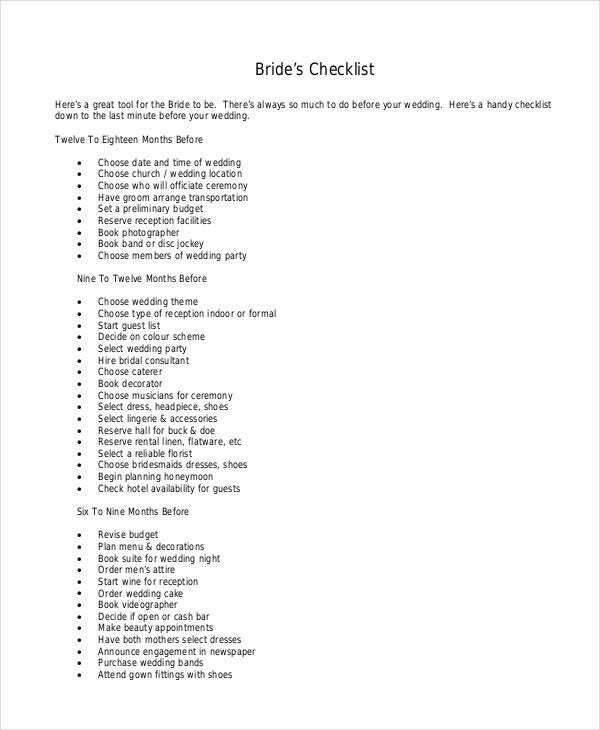 This checklist can be very useful in planning a wedding. 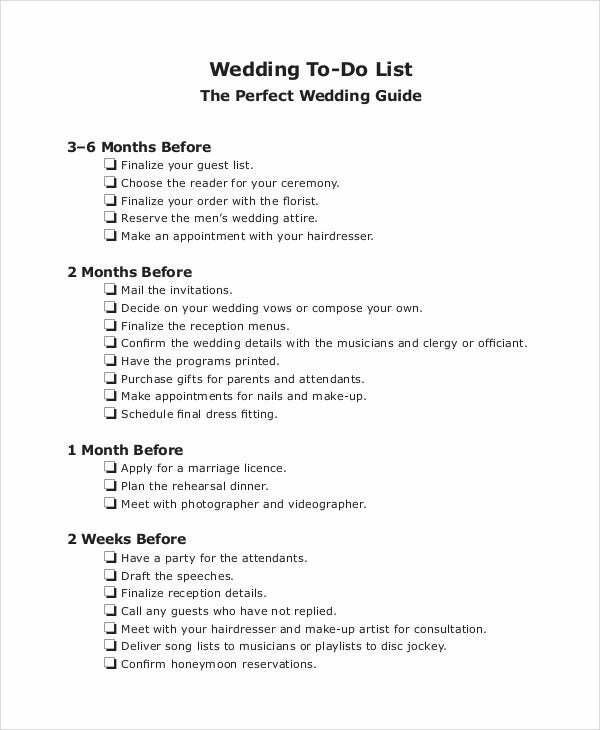 This is an extremely useful simple wedding checklist which has listed all the important tasks required for planning a wedding and has also mentioned by what duration they should be completed. 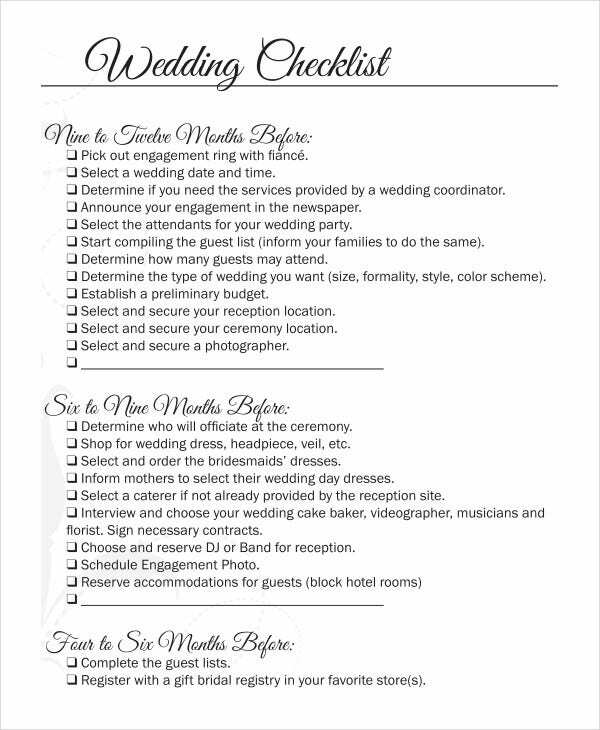 This simple wedding checklist has been designed especially for wedding photographs to make sure that they capture all the important events that happen during a wedding ceremony. 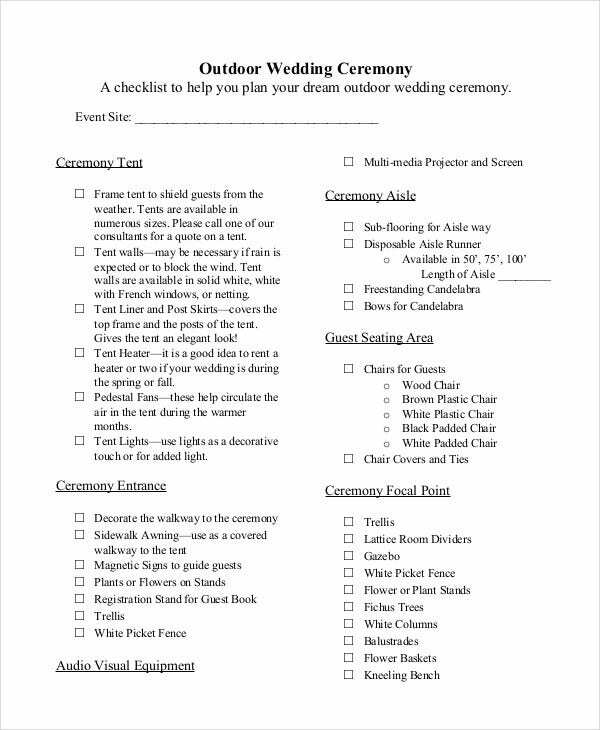 > Who can use the Simple Wedding Checklists? 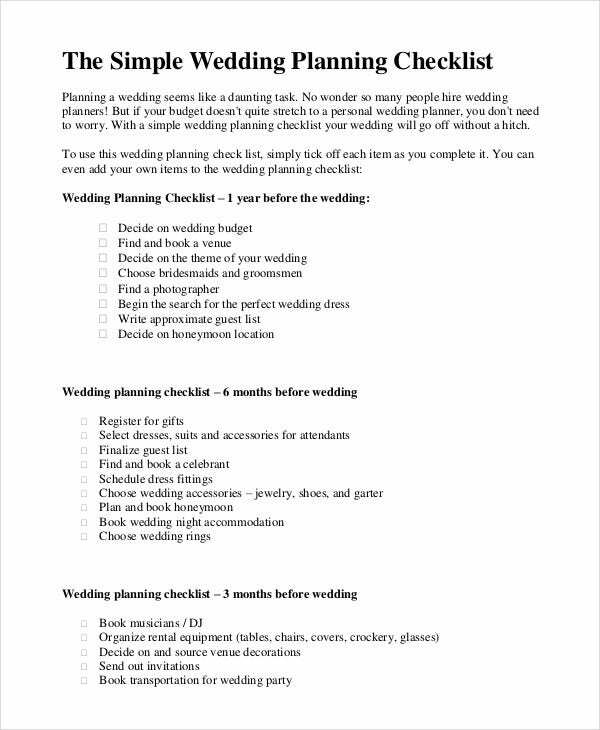 The Simple wedding checklist can be used by anyone who needs to plan a wedding. This can be the couple who is to be married or their family members, or friends or relatives who have taken up the responsibility of planning their wedding. 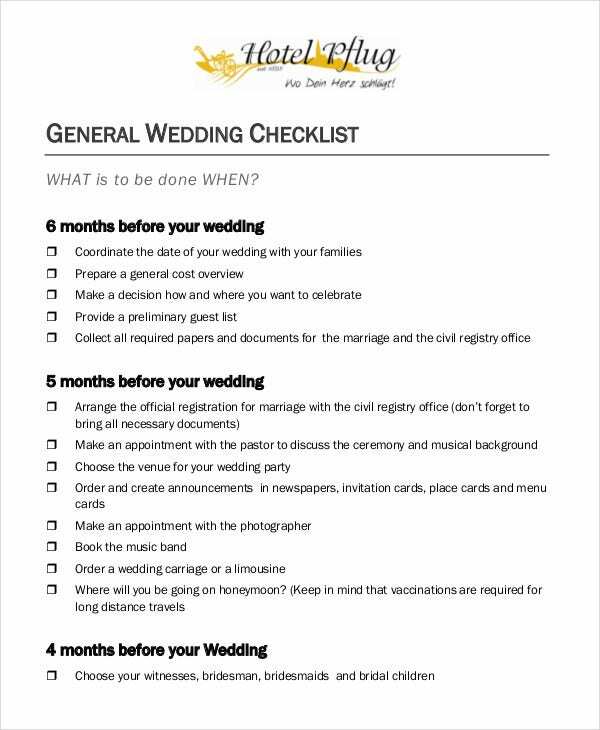 They can make use of these checklists to make sure that they do not miss anything out while planning the wedding. 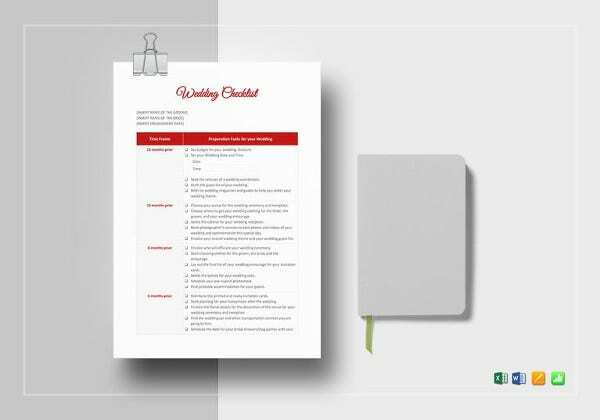 These checklists will also be of great help for professional wedding planners and will highly benefit them in their business. 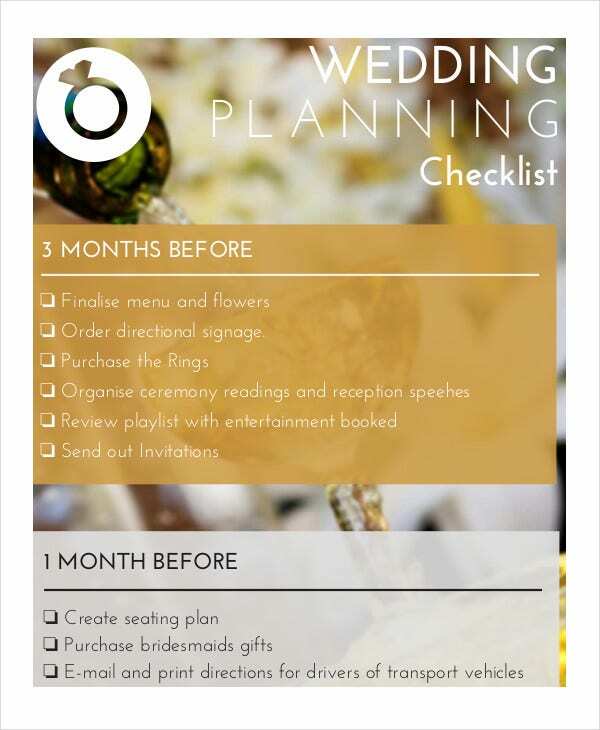 Venue checklists can be used by agencies which provide venues for weddings. 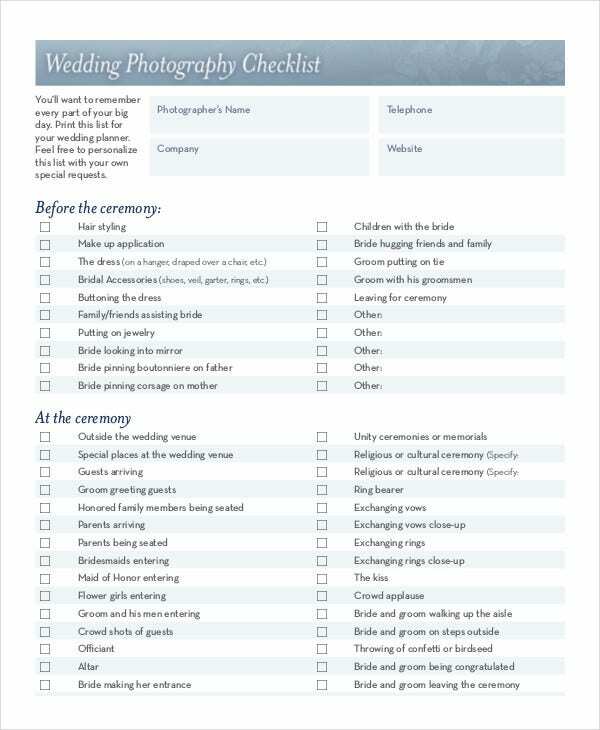 Photography checklists will be of use for wedding photographers. 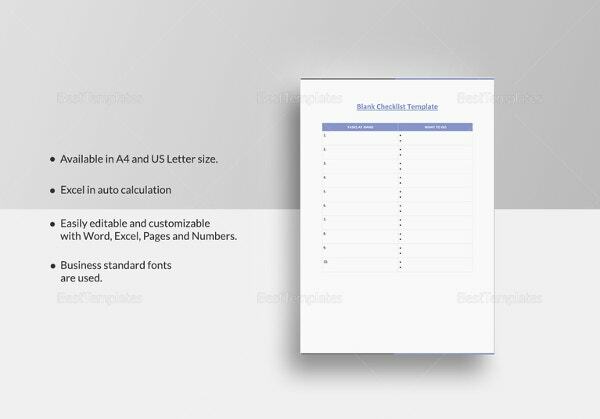 You can also see Employee Checklist Templates. 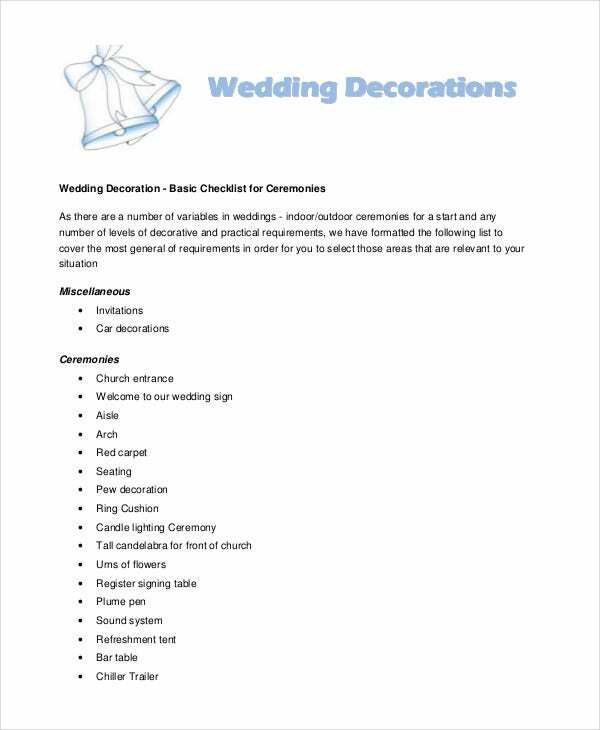 This simple wedding checklist will be very useful in planning a wedding ceremony as it contains a list of all the important decorative items required to be used for the ceremony. 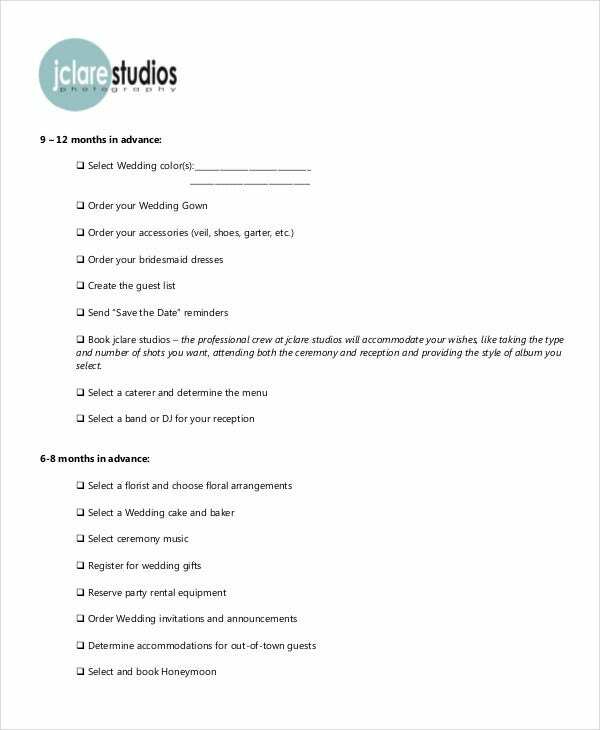 This simple wedding checklist is a questionnaire which the bride and the groom should be asked in order to determine what type of venue will be best suited for their wedding. 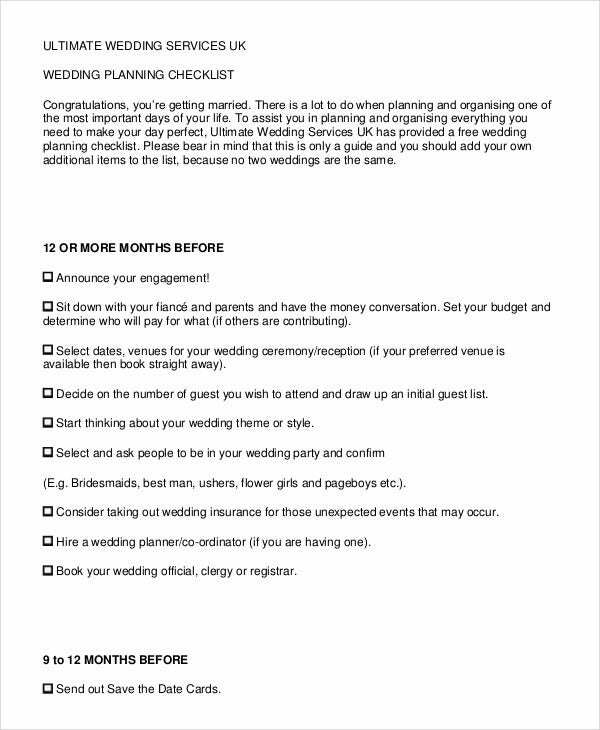 > How to use the Simple Wedding Checklists? 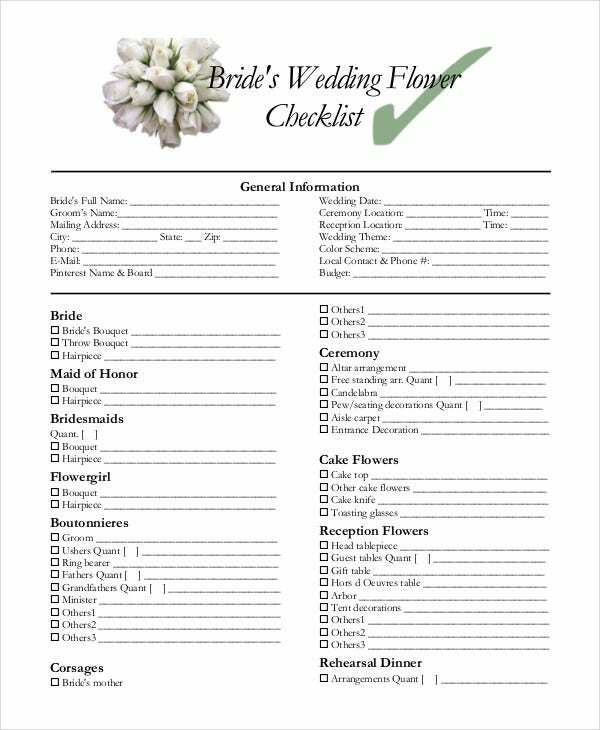 The Simple wedding checklists are to be used just the way the normal checklists are used. 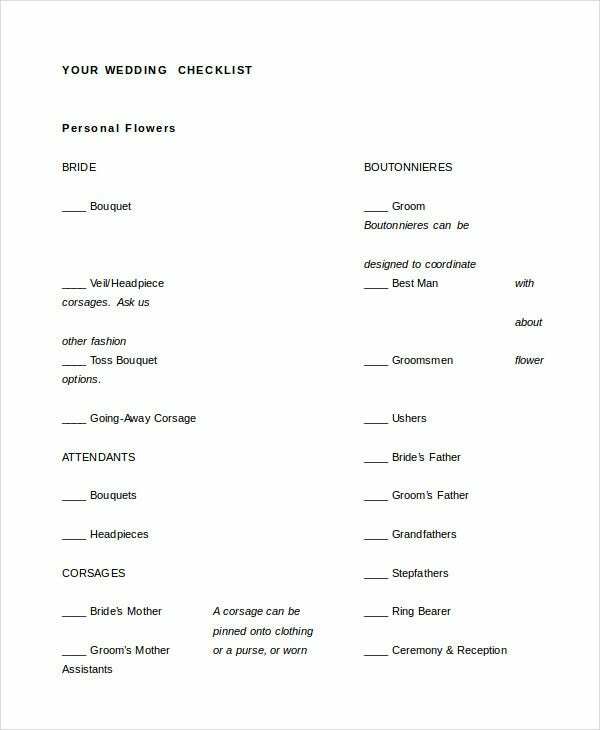 These Wedding Checklist Templates should be printed for use. 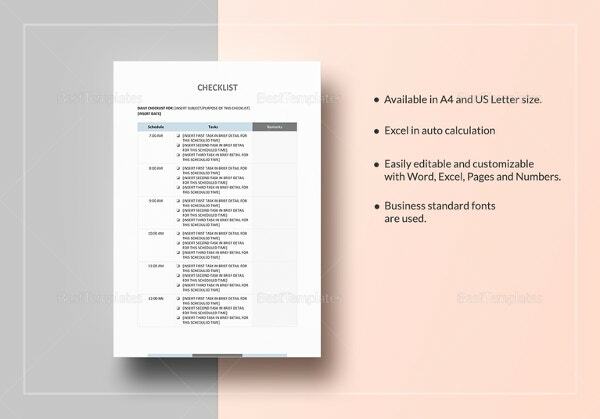 These checklists contain a list of tasks or items to be arranged. After completion of each task or acquirement of each item, a tick mark should be put on the box adjacent to it on the list. Every once in a while you should check all the ticked boxes to make sure that you have not missed any task. 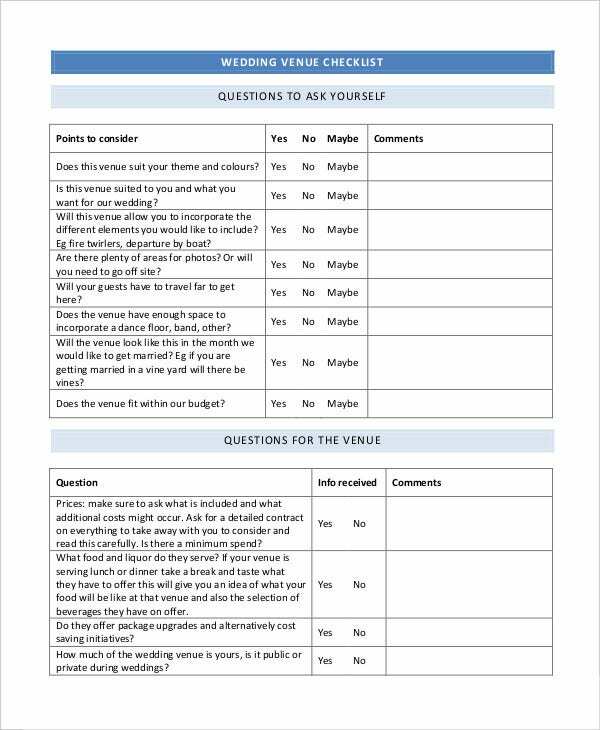 A Wedding venue checklist is one that has to be used differently. On it, a suitable venue has to be decided based on the answers given by the couple to the given questions. 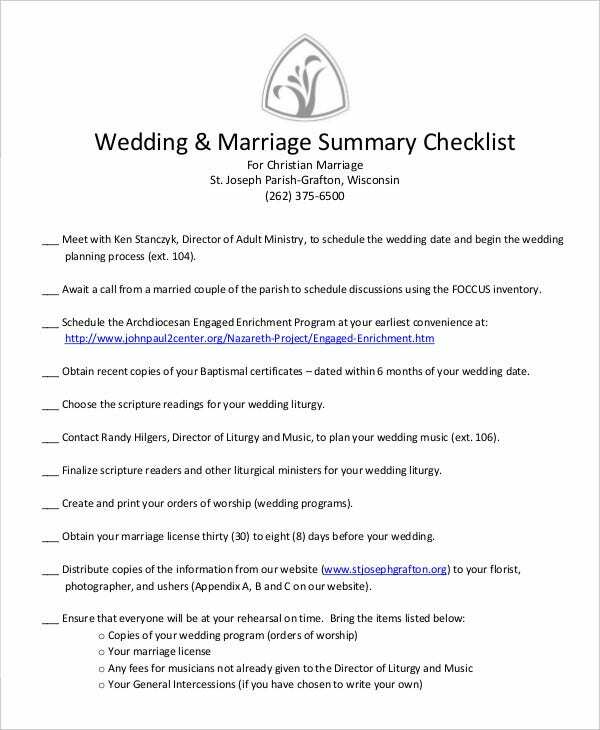 > What are the benefits of using Wedding Checklists? 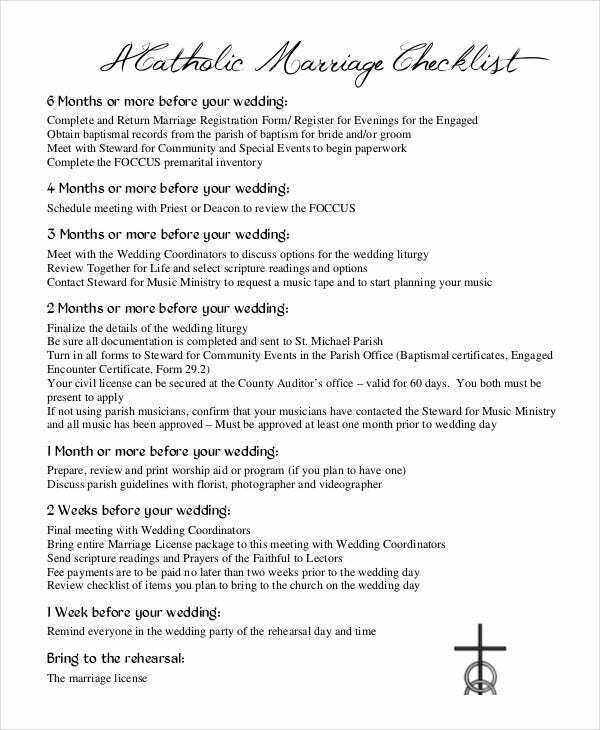 There are huge benefits of using the wedding checklists. A wedding has many things that are to be planned. These include venue, caterer, decoration items, guest lists, etc. The planning of a wedding is usually started a year before the date of the wedding because of the huge number of tasks that a wedding ceremony requires. All these tasks are hard to keep track of and it is highly possible that the planners might miss something out. Checklists help to make sure that this does not happen. Checklists also give you a sense of security as you know at every point that in case you are missing something, it will be visible on the checklist. 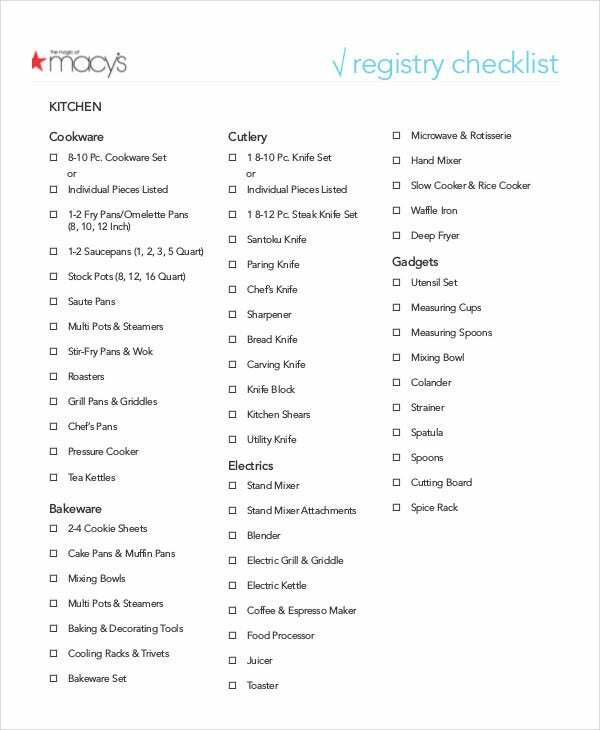 You can also see First Baby Registry Checklists. 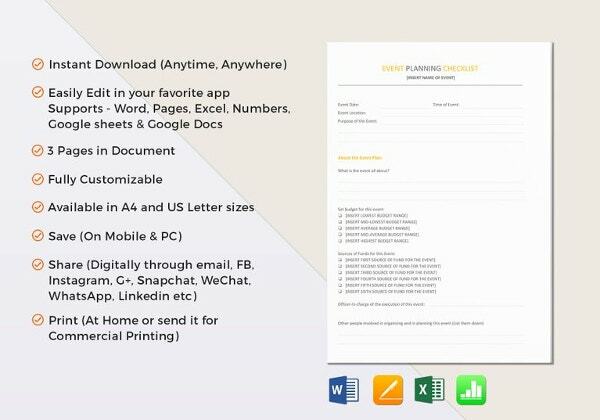 To-do list templates can be very helpful in managing your daily routine. 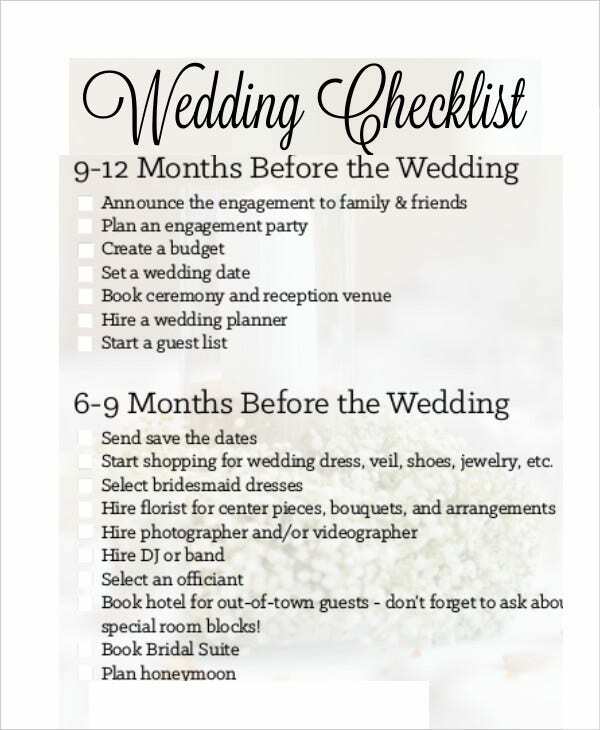 A Simple wedding checklist will make sure that you plan a successful wedding ceremony. These wedding checklists have all the important tasks listed on them and therefore, they are sure to be of great help in planning a wedding.